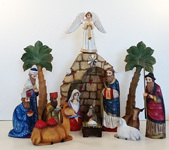 Russin artists are known for wonderful carving and paint work. Every once in awhile something new and different comes along, and that's what we have here. 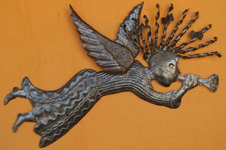 These incredible pieces are crafted from recycled oil drums. 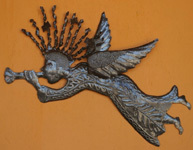 The artisans in Haiti then do their wonderful art, creating these beautiful and unusual pieces. Be sure to take a closer look. 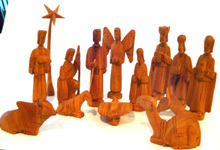 These nativities are hand carved from olive wood, in a fashion that began from the time of the crusades. 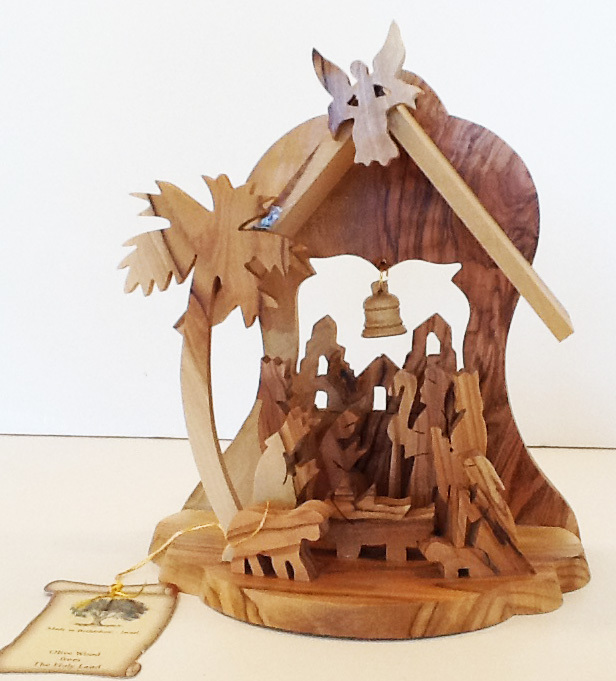 The olive tree is a symbol of peace, fertility, and prosperity; and has a both sentimental and religious significance. 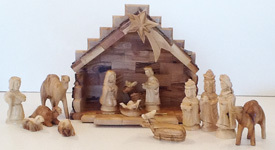 Wood is harvested from the tree, and no trees are killed in the process. 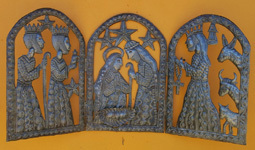 Be sure to click to a larger picture, to better appreciate these wonderful carvings from Bethlehem. More pieces are arriving in September. 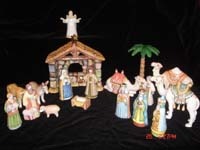 African artisans hand carved or crafted these unique nativities. 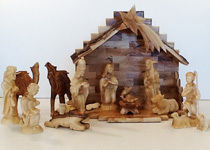 Hungarian artisans hand crafted these special nativities.